Finally I made it to a Chanel counter that had the entire collection of the new Le Blush Crème de Chanel blushes! I only purchased Inspiration because you know that I have a penchant for lovely cool-toned pink blushes! I will review it soon. I may have to get Affinité as well because it is very lovely. I added this picture from my original post because in this lighting the colors were a bit more saturated and vibrant. Top to bottom: Présage, Affinité, Inspiration and Revelation. $38.00 from Nordstrom, Neiman Marcus, Saks Fifth Avenue, & Macy's (Affiliate links). Oh my gosh, I need to get my hands on Fantastic! I like the look of Inspiration. I need to get to a Nordstrom to see these and the new Dior. I know you'll inspire me to buy Inspiration. I do too! I shot pictures of it and swatched it today, and wore it for the first time this afternoon. It is very very pretty. Just our sort of cheek shade. Since you love Cream blushes so much- I think that you would be very happy with Inspiration. I haven't seen the Dior in person yet, but am pretty sure that I am going to get Capri (the light pink one that you are eyeing as well). 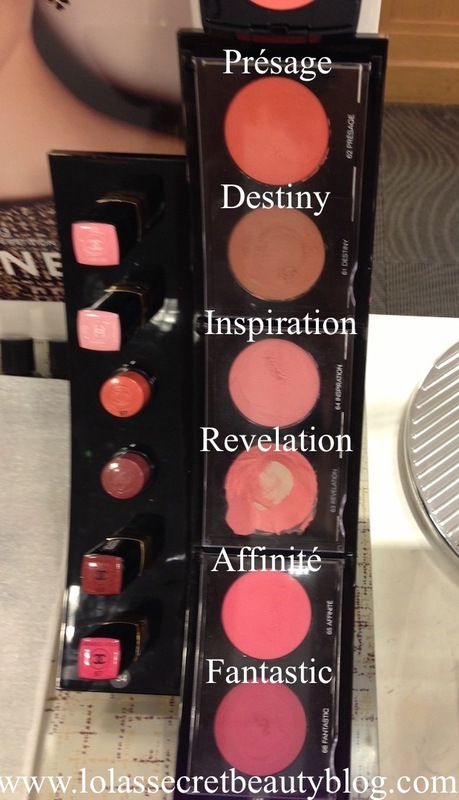 I hear that it has a slightly spongy texture-- I wonder if it feels anything like the Maybelline Dream Bouncy Blushes? I am so happy that I bump into your blog :) We share the same passion! Have you tried the Kevyn Aucoin cream blushes? I'm curious what you think of them. I may be putting Tansoleil on my birthday/Christmas list. I really do, Boo! They work the best for my cool complexion, but I do definitely have an irrational love of this shade for cheek products!!! I haven't tried the KA cream blushes yet. I have only used his lippies and e/s. Fanatstic and Inspiration are looking so gorgeous! :) Unfortunately they are not available in my country yet =/ Hopefully the stores release them soon! Hi Luisa! I agree, Fantastic and Inspiration are just gorgeous! I hope that they arrive at the counters near you soon! You really must go swatch them in person- they are so beautiful! Have a lovely weekend!